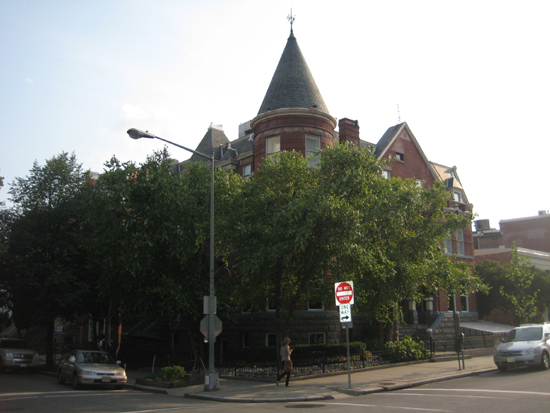 The Southwest Corner of the Dupont Circle Brownstone on 8/4/2009. The overgrown trees provided additional privacy to the Brownstone. 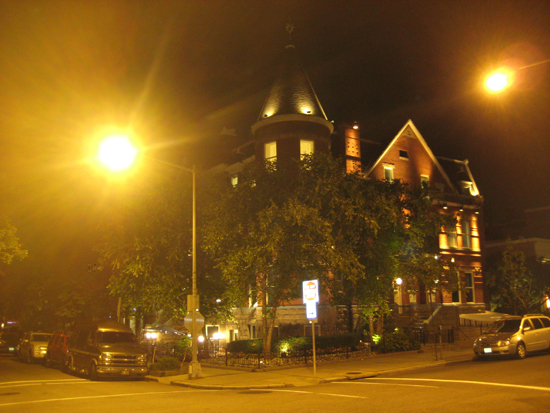 Another view of the Southwest Corner at night with the exterior lighting that was installed for the filming of the series.